Bleach is a manga and anime that needs little introduction. It follows Ichigo Kurosaki, a high school student who is bestowed with the powers of a Shinigami (soul reaper), beings who send tortured souls to the afterlife and who fight against powerful spiritual beings known as Hallows. 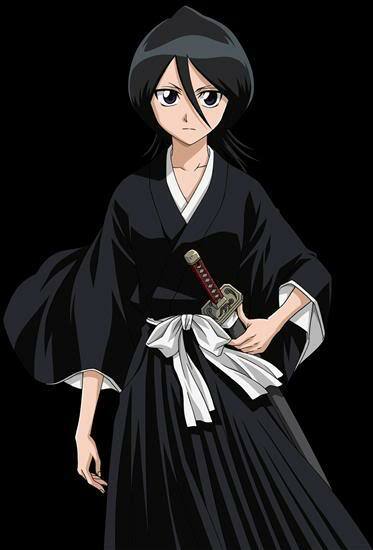 Rukia Kuchiki is the first Shinigami introduced in the series, and through coincidence (or fate?) is forced to lend her powers to Ichigo. The second arc revolves around Rukia’s upcoming execution for committing this illegal act. Bleach was once the supercool show on the block. It gave us great characters, nice action scenes, and an interesting premise. It has since maintained its popularity, though the critical reaction has definitely waned. Two things first attracted me to the series: the awesome first OP and the character of Rukia Kuchiki. Designed to be small, but not necessarily cute, Rukia is a mature (usually) match for Ichigo. I think it’s no coincidence that as her storyline becomes less important, and as her powers dwarf in comparison to almost every other characters’, the series has suffered. 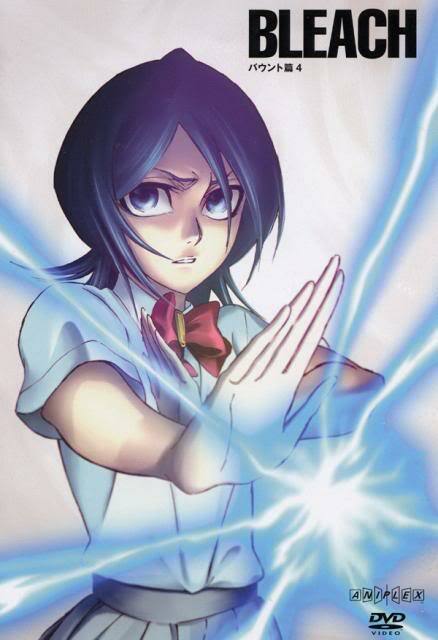 Rukia’s role in the series, though no longer so significant, was vital at the very beginning. It was through her actions that Ichigo was awakened to his powers, setting the stage for the rest of the manga and anime. She is a messenger of sorts, and this, among other roles, parallels closely to one part of the Christian triune God – the Holy Spirit. Rukia Kuchiki almost seems to be Holy Spirit-esque. Short, thin and lithe, she almost flies through the air and is quick on her feet. If I could compare her to something natural, she would be like the wind. Likewise, the Holy Spirit is described as being like the wind, which “blows wherever it pleases. You hear its sound, but you cannot tell where it comes from or where it is going” (John 3:8). The Holy Spirit empowers Christian believers to evangelize (01:8&version=NIV">Acts 1:8). Though Ichigo does not spread any message about a belief system, he is sent, in a way, by Rukia to do the work of the Shinigami. The dual purpose of the Shinigami is to help tortured souls cross into the afterlife, and to defeat Hollows. Rukia’s actions make Ichigo into a substitute Shinigami and he is thrown into the fire, as it were, soon doing the work of soul reapers. Likewise, once filled with the Holy Spirit, Christians are thrown into the fire. Often depicted as being pushy with religion, Christians are following the precepts of their faith in proselytizing to others. And like Ichigo, it’s both a matter of choice and not. Ichigo finds himself having to fight monstrous creatures because they want to kill him. At the same time, Ichigo wants this use this power to protect and help others. Christians are often scared of evangelizing, but feel a pressure to do so; at the same time, they want to tell others about their faith because of what they’ve experienced. While two separate functions of the Holy Spirit, gifting and indwelling are connected in the case of Rukia and Ichigo. The Bible is clear on the point that the Holy Spirit gives gifts (abilities or skills) to believers (12:4,%207,%2011&version=NIV">1 Cor 12:4, 7, 11). Rukia, too, gives gifts to Ichigo – the powers of a soul reaper.Injured in a fight against a Hollow, and seeing that Ichigo wanted to protect his family, Rukia attempted to transfer half of her Shinigami powers to the boy (she insteads transfers all of them). Suddenly, Ichigo is gifted with the physical powers of soul reapers (like increased endurance) and the spiritual ones (like the use of a Zanpakuto, a spiritual sword). Rukia, having lost all of her powers, can no longer function as a Shinigami. She must instead stay on the earthly plane instead of returning to her home in the Soul Society. In a metaphorical sense, she now lives in Ichigo. Important identifying characteristics of Rukia (her Shinigami powers) now dwell in Ichigo. The connection is not as obvious as with the Holy Spirit living inside a believer, but nonetheless, a piece of Rukia is part of Ichigo. Now that Ichigo has the Shinigami powers, he is transformed. He is no longer the same, beginning a journey to becoming a powerful being. Rukia’s actions have altered Ichigo’s existence forever. Similarly, the Holy Spirit transforms the lives of believers (05:16-18&version=NIV">Gal 5:16-18), helping them to reject sin and choose light. Ichigo is compelled repeatedly to help his friends in need, and because of the power within him, is able to overcome any obstacle in his way. After the first arc, Rukia is taken away to the Soul Society to face execution for giving Ichigo her powers. When Ichigo goes to save her, an entire new reality is revealed to him. The Soul Society is something he could not have possibly imagined existed prior to his metamorphosis. The Holy Spirit reveals the things of God to believers (01:20-21&version=NIV">2 Peter 1:20-21). It is through the Spirit that scripture was written, which reveals God’s nature. Likewise, the powers in Ichigo now allow him to see a new vision – that of an afterlife. Finally, I would like to return to indwelling. There’s another parallel that can be made to this function of the Holy Spirit. 14:17&version=NIV">John 14:17 says that the Counselor (Spirit) will live with us and be with us. In a very physical sense, Rukia does live with Ichigo, in his closet. In a spiritual sense, as we discussed, she lives within him. Furthermore, the Holy Spirit is with a believer for good once he or she has decided to accept Christ as Lord and Savior. You’ll notice throughout Bleach that Ichigo and Rukia, though frequently separated, long to be together. The most obvious example of this is Ichigo’s seemingly impossible mission to retrieve Rukia from Soul Society. Once connected, they don’t feel whole being apart. No (or little) romantic considerations add to this – it’s something deeper. They have experienced something no others have and are inextricably connected. The Holy Spirit, too, experiences something with each believer that is unique, and promises to stay with that person. As Rukia’s character diminishes in Bleach, it becomes easy to forget her importance as the catalyst for events of the entire series. Likewise, the Holy Spirit is easily the least understood and most ignored of the divine Trinity. Believers need to be aware of God with them…and here’s hoping that Tite Kubo doesn’t forget the beauty and importance of his heroine either.